If you missed them, in part one and two, Harre delved into the background of our housing issues, and looked at the exciting possibilities for housing and transport if an Eco-City development is done well. These posts are published with permission, and are found in Harre’s full collection of essays on Medium: New Zealand needs an urbanisation project. Would the Eco-City be politically and economically viable? Private discussions with John Myers the organiser for London Yimby indicate the most important factor in the housing affordability debate is finding a solution that is politically palatable. He was recently interviewed by RNZ. There are lots of economic solutions to building affordable housing ranging from highly centralised Singapore government provided housing to highly deregulated private sector solutions seen in parts of the US. The trick appears to be finding a solution that is both economically viable and addresses the particular political concerns of the towns and cities in question. 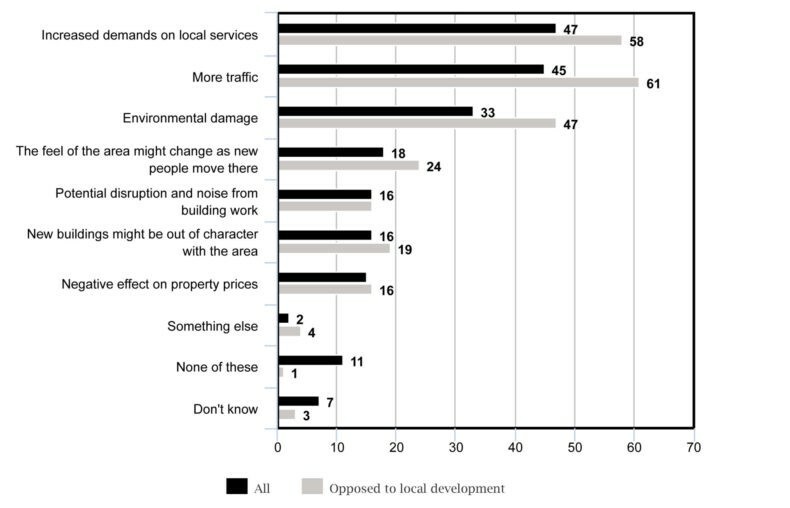 Generally the three major political objections to new housing, especially from locals, are the effects on traffic congestion, concerns about increasing demand for local services and environmental damage objections. In Wellington’s case the objections seem to be centred on the traffic and environmental effects, with the likes of Regional Councillor Sue Kedgley writing that Wellington should avoid the Auckland paradox of induced motorway demand, while blogger Eye of the Fish is concerned about the Eco-City proposal being environmental ‘greenwashing’ and thinks the devil is in the detail. The devil will be in the detail but the Eco-City proposal should have significant environmental benefits. Congestion charging Wellington’s roads would eliminate the induced motorway demand problem. If buses have unimpeded travel times, as congestion ‘rush hour’ peaks are eliminated, this will increase bus transport mode share (and the mode share of other non-congesting transport modes). 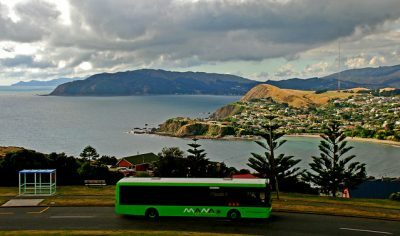 Buses are being electrified in Wellington so this will have significant benefits in reducing CO2 emissions. With regard to the economic viability question Greater Wellington’s rapid transit network is two linear corridors that is only connected at Wellington Train station. Providing a fast bus rapid transit route between Lower Hutt and Porirua would make a more complete network, which should make the network more attractive to more users. From “Order without Design” (page 36), 2018, by Alain Bertaud. 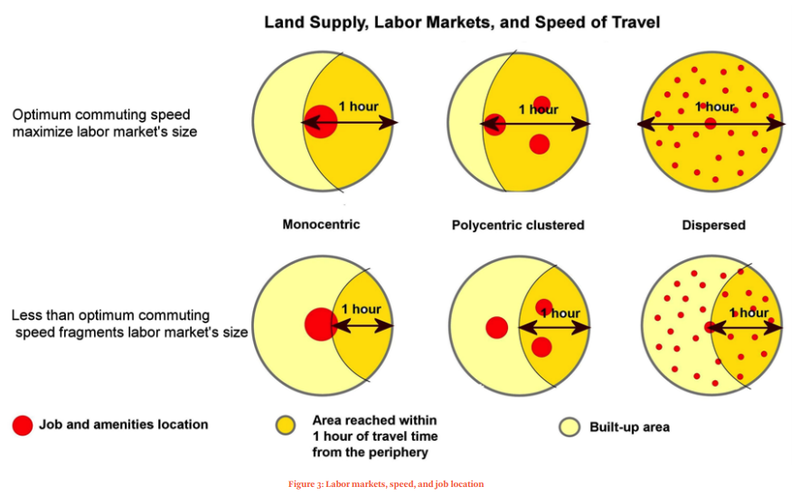 Large labour markets are the raison d’être of cities. Large labour markets result in higher productivity than smaller ones. However, the size of a labour market is not necessarily equal to the number of jobs in a city. If inadequate or unaffordable transport prohibit workers from accessing all of a city’s jobs, the effective size of the labour market is only a fraction of the total number of jobs in the city. The productivity of a city is proportional to the effective size of its labour market. According to Alain Bertaud (P.33–34) the research on cities shows the maximum productivity benefit relates to the number of jobs within a 20 minute journey catchment and these productivity benefits reduce to zero once journey times exceed an hour. Lincolnshire Farm Eco-City residents would be within 20 to 30 minutes from employment in Wellington, Lower Hutt and Porirua so they would be recipients of this maximum productivity benefit. For each additional resident in the Eco-City who is able to quickly access the employment market there is a boost to Greater Wellington’s productivity according to spatial economic research. 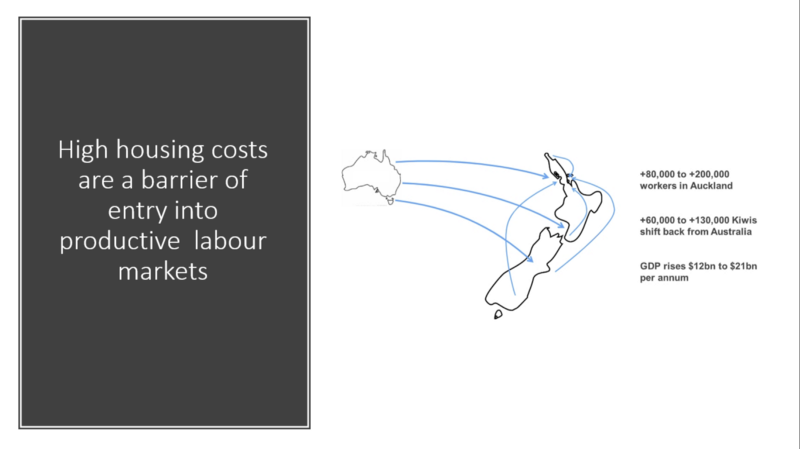 Not only would Greater Wellington benefit from an increased workforce resulting from the 25,000 residents in the proposed well located Eco-City, but by better connecting Porirua to Lower Hutt the productivity of those parts of Greater Wellington increases too. Ultimately it is the productivity of Greater Wellington that pays for building the bus rapid transit connections and the Eco-City, so optimising this effect is important. 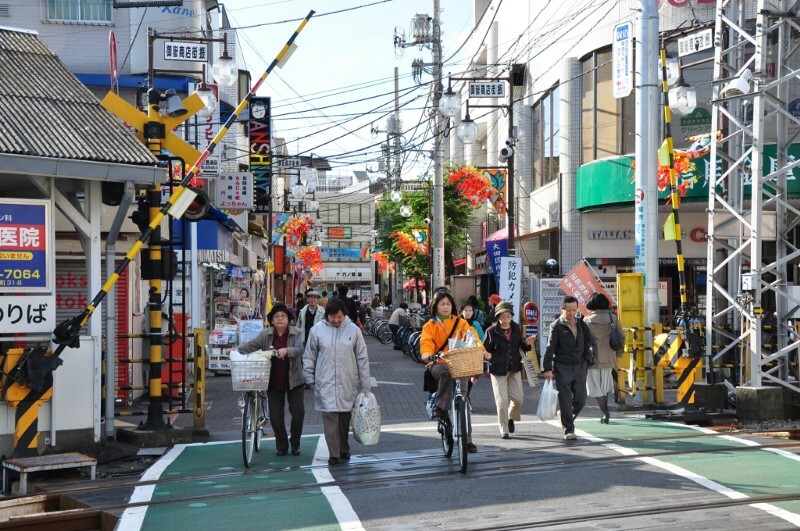 In Japan, Tokyo in particular, integrating housing with rapid transit in a commercial manner has successfully unlocked these productivity benefits to pay for rapid transit. It is hoped the application of these Japanese urbanisation concepts would be successful in Wellington too. Wellington’s housing crisis is a problem because along with other concerns it increases the entry costs for employment. Experts are increasingly pointing out that many cities around the world with the highest incomes are no longer attractive to low and middle income people because the gains of moving to the city are lost in high housing costs. This being a change from the past and has lowered economic growth, productivity and widened inequality. Economist Peter Nunns has modelling which shows 50 to 100% of the migration to Australia in the last generation is due to house building restrictions and a consequent lack of abundant affordable housing. These effects can easily be seen in Wellington. Nurses for instance are speaking out about the cost of living in suburbs that have reasonable journey times to the Wellington hospitals where they work. Incomes in Wellington are the highest in the country yet the city has low population growth. If housing was more affordable, then Wellington’s population growth may increase to above 2% like Auckland, Greater Christchurch and other high growth urban areas. This would have a positive effect on the nations income and productivity. There is a lot of confusion about the housing crisis. Some say it is a result of low global interest rates -they believe that quantitative easing is the printing of money -which they contend has lead to a speculative frenzy. Implying that interest rates should be raised or that monetary policy should in some way restrict borrowing for housing. Others say interest rates should be lowered further so that housing infrastructure can be costlessly built. Another group believe that New Zealand’s tax and spend settings need to be relaxed -that the government should borrow more to build housing infrastructure i.e. that housing infrastructure needs to be subsidised by the taxpayer. None of these are the best solution. Housing growth can pay for its own infrastructure. The primary problem of the housing crisis in cities like Wellington is structural impediments to building more houses in locations that enables access to the city in a timely manner. Issues like learning how to build density well, correctly pricing roads so that new residents can use congestion free transport modes to access the parts of the city they need to access, being innovative in the way land is affordably assembled for development and the way housing infrastructure (including rapid transit) is financed and actually building houses affordable to low and middle income groups not just the wealthy. It is to these structural impediments where ‘political will’ needs to be immediately applied. Actually the application of ‘political will’ should have occurred five years ago in 2014 (if not earlier), before the pain of rampant rent increases inflicted its damage. It is a black mark on Wellington’s governing elite that they failed to act. Labour Leaflet No.9, 1920s after the first world war. 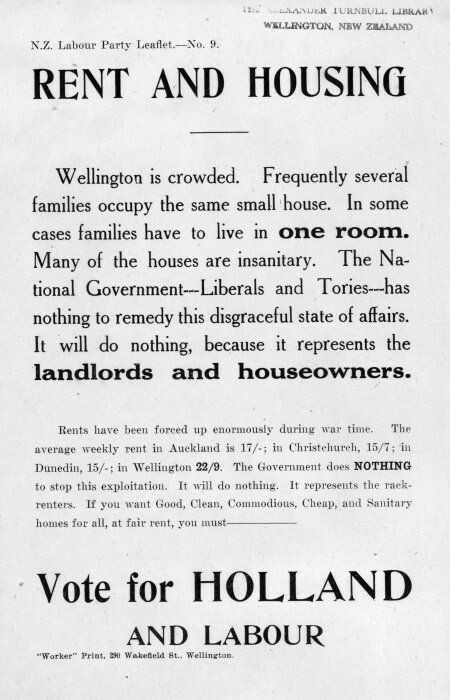 Past New Zealand government’s understood the pain of high rents in Wellington. In the 1920s and 30s Wellington’s rents were the highest in the country. The first Labour government responded by building tens of thousands of affordable houses -in the form of affordable rental housing -state housing. Many of these houses were built on affordable land close to rapid transit (commuter rail) between Wellington City, Lower Hutt and Porirua. Will future governments, councils and their civil servants learn from this experience? Wellington has the most geographic constraints on housing supply, but even it could build affordable housing given the proper application of political will. This Eco-City proposal demonstrates this to be true. Other images have sources noted in captions.